With a proven track record in designing, building and managing data centre infrastructure, Workspace Technology is ideally-positioned to assume responsibility for the management of your mission critical power and data centre assets. ‘Intouch’ is a 24/7 remote data centre monitoring service designed to view your mission critical infrastructure. Our Technical Support team will monitor and investigate alarm conditions as and when they occur, diagnosing, fixing where possible and arranging for site attendance when deemed appropriate by invoking the ‘Support’ contract SLA on behalf of the client. InTouch services are implemented through Schneider Electric’s industry leading EcoStruxure & StruxureWare Data Centre Expert combined with their powerful data center infrastructure management software suite to support all aspects of server room and data centre monitoring. Data Centre Monitoring service covers all aspects of essential data centre infrastructure, including energy usage, power, UPS systems, generator sets, cooling, fire suppression, environmental and security monitoring. 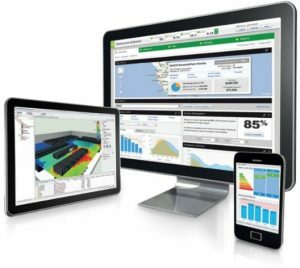 The data centre remote monitoring service helps data centre management maintain both availability and peak ‘PUE’ performance achieving tangible reductions in data centre carbon emissions and reduce energy consumption. Workspace Technology can scale the solution to align with business requirements. We can offer Energy Performance Monitoring (EcoMeasure), monitoring of Critical Power systems or we can support the entire mission critical data centre infrastructure. For more information on our full range of remote data centre monitoring services please contact our sales team on 0121 354 4894 or send us a message.